The relatively sparse output of Jeff McIlwain aka Lusine has amassed a disproportionately healthy following since the release of his debut on Ghostly International in 2003. 'Two Dots' is his first fresh material in a couple of years and the precursor to a new album for Ghostly, showcasing his knack for glowing melodic hooks with a hint of IDM melancholy that earned him such a following. The inclusion of Vilja Larjosto's clean but strong vocal presence elevates his sparkling electro-house to something of a low-key anthem that we're sure you'll be hearing a lot more of in the future. The accompanying remix from composer Dave Pezzner (credited with scoring American Idol and T-Mobile ads) is another treat for the electronica crew, embellishing Larjosto's vocals with dancing strings and ultra-subtle synths before introducing a burbling rhythm which slips in and out of earshot like a dream. 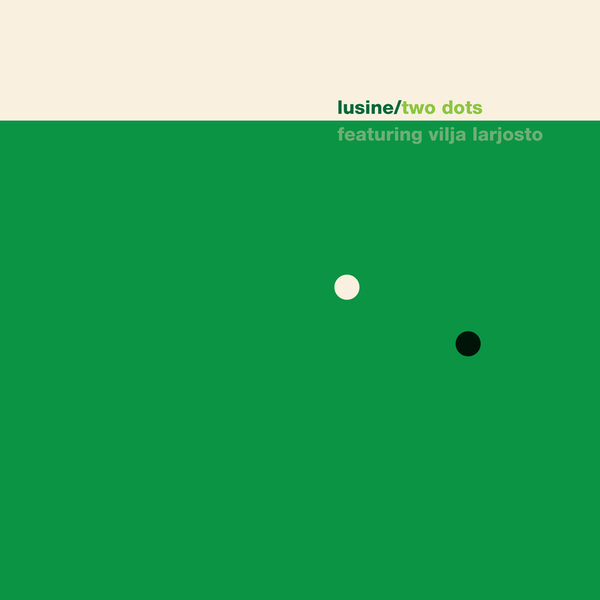 Looking more to the dancefloor and DJs in particular, Lusine's own Reverse Engineering remix dubs the vox and brigns forward the beat for a sumptuous 'floor tripper. Recommended!